Japan's Club Nintendo members do really get the coolest stuff. Takes these Animal Crossing cards, for example. This is "karuta", which is a Japanese card game that is typically played during the New Year's holidays. As one of the cards is read, players try to grab the corresponding card. The person who does it the fastest wins that card. 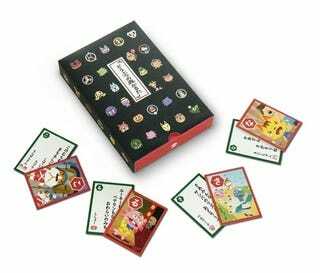 These Animal Crossing karuta are 500 Club Nintendo points, and redeemable points can be earned by buying Nintendo hardware or games.